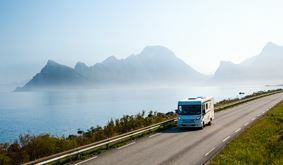 Along the Kystriksveien – the Coastal Route – you will get close-up encounters with dramatic nature and experience famous attractions such as the legendary mountain Torghatten, the Seven Sisters mountain range, the Svartisen glacier and the Saltstraumen tidal current. On this trip you fly to Trondheim Airport Værnes and collect your Explore car from Budget before setting off along the Namdal Coast and Helgeland Coast. Along the way, you can pick up cycles and hiking suggestions as required, and explore highlights. Enjoy your adventure holiday! Leka astounds most people. From a distance it looks like a completely normal island, but as soon as you reach the western side the landscape changes drastically - it's like arriving on another planet! 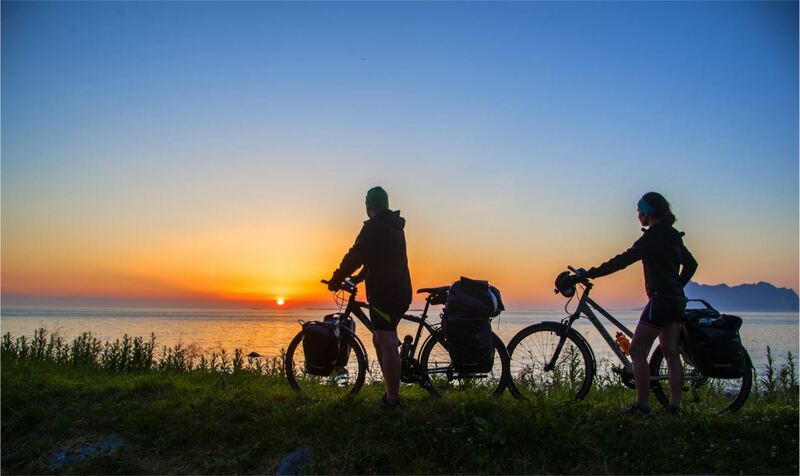 The cycling trip “Tour de Leka by bike” is one of the absolute highlights along the Coastal Route. It also provides the explanation of why Leka was voted Norway's national geological monument. Torghatten is one of Norway’s most spectacular mountains – and the hike to the top only takes 20 minutes. 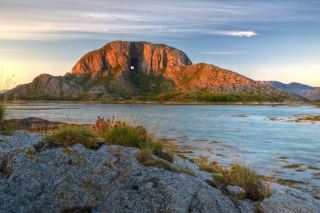 Torghatten is the mountain with a hole right through it – and the hole is larger than you would imagine! 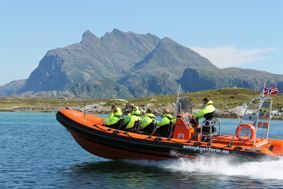 One of the not-to-be-missed highlights is the boat trips that operate on Tuesdays and Thursdays out to the down village of Lånan in the Vega Islands or on Wednesdays to the island of Emårsøy. .. not to mention hiking since the Seven Sisters mountain range and the mountain Dønnmannen are just a stone’s throw away. As well as being the best area for cycling and kayaking Kystriksveien – the Coastal Route, astonishingly enough Norway’s most spectacular flower shop is also located here. We give you the car and the opportunity to add cycles and descriptions of cycling and hiking trips along the way. This is included in the price. When you book your trip, we customize an itinerary to suit your wishes and requirements. Day 1: Trondheim Airport Værnes - Namsos, 171 km. Follow the E6 highway to Steinkjer. Pick up your cycles from the Kystriksveien Info Centre then drive up to Namsos. Stay overnight at Scandic Rock City. Start the day by driving Namsos - Rørvik along route 769 (2.5 hr). One ferry crossing. Drive to Leka (ferry Gutvik - Leka) “Tour de Leka by bike” (separate description). Ferry Vega - Tjøtta at 10.30 am 20 km up to Søvik, ferry to Herøy Drive to Seløy Kystferie (accommodation). Activities: cycling trip on the island of Herøy, hiking. Dinner at Augustbryggo and guided tour.